Drawing for the Terrified in North Hero this Summer! 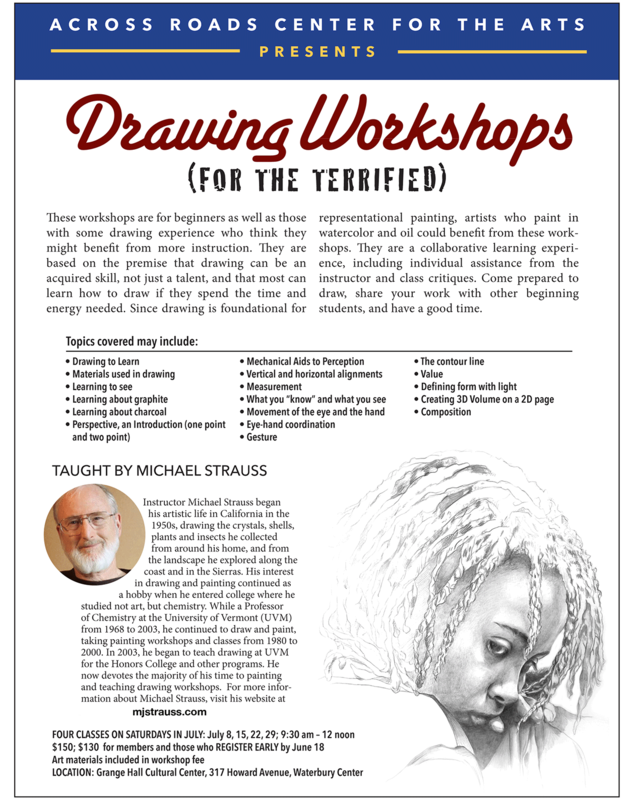 Location: North Hero Methodist Church Conference Room, Rt 2, North Hero, Vt.
Join Burlington artist Michael Strauss in this collaborative class for beginners and those with a little drawing experience. You will learn how to use graphite, charcoal and ink, how to create the illusion of light and depth in a drawing, as well as the basics of composition. We will also explore eye- hand coordination, how remembered images affect our drawings, as well as how self judgement can impede the drawing process. The class will be a fun, pleasant shared experience with lots of feedback from the instructor. Register at Island Arts or contact adehner100@gmail.com with questions. 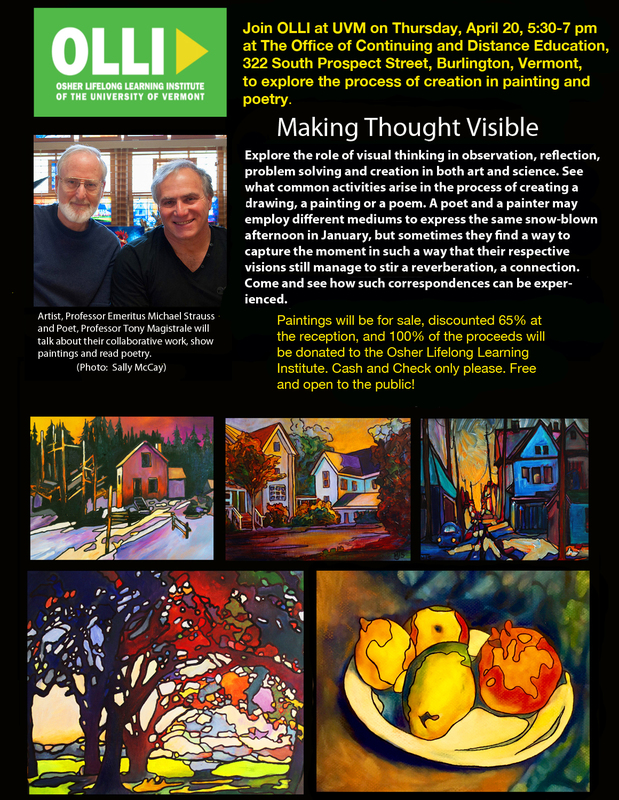 To register go to islandarts.org and click on academy, courses or email adehner100@gmail.com No photo description available. Mindfulness in Drawing, a short interactive presentation, Hillel, UVM, June 18, 2018. Contact michael.strauss@uvm.edu for further information. Davis Studio - Drawing for the Terrified, September through December, a weekly class. Go to the Davis Studio website for details and to register. "Drawing as a Way of Knowing"
"Writing and Drawing to Learn Across the Curriculum"
"Learning to Draw and Drawing to Learn Science"